Cancer is supposedly a mystery illness that can happen to one out of five people. Those odds are terrifying. Many factors can weigh in on one's ability to acquire this horrific disease. RNA and DNA viruses have been identified as some of the culprits that cause cancer. We know that Colloidal Silver has been reported to destroy well over 650 different viruses and bacteria (they stopped counting at 650). The FDA has approved Silver for specific medical applications; it is used by NASA and even in many Hospital Rooms across the globe. However, they seem to choose to ignore the power of Silver to deal will many money making sicknesses and the disease's that generate substantial income with repetitive and costly visits for the treatments. You'd think that for the sake of the human lives that are at stake that they should implement the use of Colloidal Silver, but since it's not patentable, they cannot make the same income from something so simple as silver. Then there are the Billions of Dollars raised through Cancer Fundraisers for "Research and Development" to consider, it is outrageous to think that since the 1970's they have raised Tens to Hundreds of Millions (annually), and if you were to add up all that money to date, the money they accumulated is ASTRONOMICAL! When the answer is in simple elements that have historical merit, yet because they are not patentable they ignore them. Every now and then they throw in new reports of "new developments" in cancer research, but the death rates still climb. We believe that you should always follow your health care professionals advice. But when a person encounters a “Life or Death” situation sometimes that person has to “take the bull by the horns.” After all, it's that person's life that is at stake and not the doctors. Understanding what works, and why it works is extremely important. Obviously, doctors have had success with chemotherapy which is why they still use it. Even with its highly undesirable side effects, it has worked in the past in many cases. However, being a "Cancer Survivor" does not guarantee that cancer will not come back later. 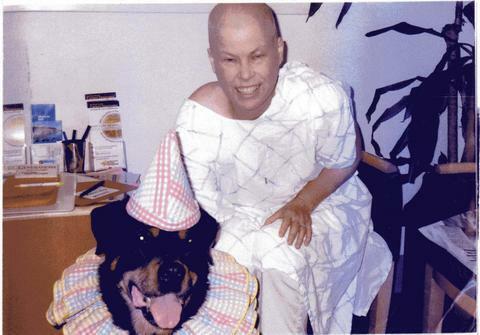 We often read about people who cheerfully proclaimed they were cancer survivors, only to find that many years later cancer returned and many died. Several websites discuss using Colloidal Silver for cancer. ​Most people that are suffering from this debilitating disease encounter an overwhelming amount of confusing and complicated explanations, false testimonials and myriads of cancer dietary supplements along with information that claims to have the solution to cancer. Cancer is a cellular affliction that affects each of its victims differently. What may work for one person, may not work for another. Time is precious when someone has cancer. Investing in the wrong supplements or apparatuses may not only cause loss of money, but it could lead to loss of life. How you apply your choices of dietary supplements that may keep your metabolism optimized is just as important. Suppose that a person has been told that they must have chemotherapy to treat cancer, that person has heard of the horrific side effects, and is afraid to do it and waits to seek out other options. The problem with that situation is that cancer gets worse month by month and can grow to other organs. As in the case of Maria who had cancer for 20 years, spent a fortune on alternative treatments and almost lost her life. This young lady experienced head and neck cancer and a large tumor on her cheek, after applying a specific gel to it, it changed the growth into a Flesh Eating Cancer which ate half her face off, and one eye and was headed towards the brain. Fortunately, she found our High PPM Colloidal Silver and CanCleanse products, and she is doing well today. Most people that tried Atomic Particle Elements Colloidal Silver 4000 PPM and CanCleanse a blend of Iridium, Platinum, and Ruthenium (Behind the scenes) were very pleased to find virtually NO HAIR LOSS and NO NAUSEA while undergoing Chemo. In fact, most were able to go on with daily affairs as if nothing was unusual. No one Knows what caused this rare phenomenon, but 12 years later many individuals are still enjoying life with their loved ones. You can find this and other testimonials on our Testimonials page, but, seriously, how can this be improved upon? So, how is this possible? Why is this possible? A plausible unproved hypothesis is that the atomic particle of the anticancerous elements penetrates deep into that tumor-causing free radical, bacteria, fungus and even viruses to die off. It is suspected that due to their tiny size as well as their ability to slide in through the smallest cell of any membrane, that they "punch a hole" into the cellular structure of the growth. They would then proceed to destroy the growths from the inside out. Bear in mind that the products work well with our without the other "Therapy" that doctors apply, and enable those chemicals to also enter into the newly made opening of the growth and perform their intended job. Why the products may neutralize side effects of nausea or hair loss, we do not have a clue. Most users of these excellent products reported having first used silver for about a week. Then they added the Cancleanse product after waiting for 5 minutes. They reported using 1/2 Ounce to 1 Ounce 3 times per day (Morning, Noon and at Night just before going to sleep). Doing the Silver first is like sending in the Marines to take out the enemy, and it's always best to use the strategy on any product. The cool thing about having the option of many choices of PPM is that you can always increase to a higher PPM should the "Free Radical" try to build resistance to the lower PPM. This way you'd always be on the offensive never give them "Free Radicals" a break or time enough to recoup and replicate. The other product (CanCleanse) is like the Military Medics, on the battlefield, restoring wounded DNA.